The voices of the A-bomb survivors, or in Japanese “hibakusha”, continue to be an important source of information and inspiration for people who are trying to understand and learn from what happened in Hiroshima and Nagasaki. In this section of the web site we provide you with a sampling of some survivors’ testimonies. Nuclear weapons have become a global issue that affects the survival of all human beings. The nuclear deterrence theory has helped to accelerate the nuclear arms race. It has become rather difficult to protect even our own non-nuclear country [Japan]. 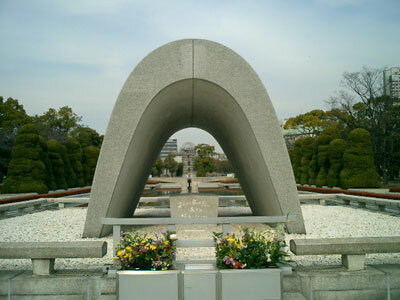 The A-bomb experiences of Hiroshima are closely connected with the survival of our people and humanity as a whole, both now and in the future. We are, as citizens, responsible for government policies. Excerpted from Hiroshima, In Memoriam and Today, edited by Hitoshi Takayama with the cooperation of Hiroshima citizens, 2000. Here are some A-bomb victim testimonies and supportive voices from around the world included here with the gracious permission of Mr. Hitoshi Takayama. Click on the link to read the details.